4. Don’t be afraid to make a statement. Create interest or drama in design, color, or material use. 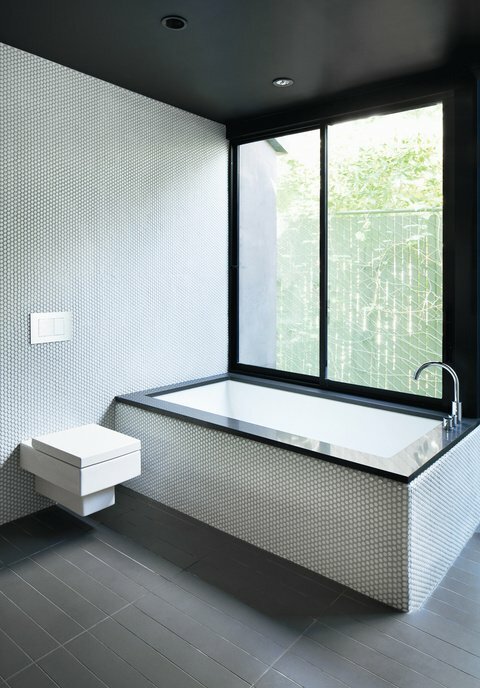 For the bathroom inside a renovated Hollywood bungalow, architect Noah Walker used a simple palette of gray and white tile, black countertops, and stainless steel fixtures.